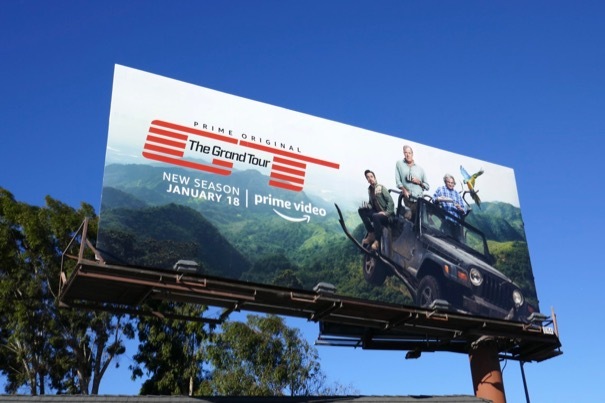 This January Richard Hammond, Jeremy Clarkson and James May are driving back onto our screens for the third season of the globe-trotting motoring show, The Grand Tour. And from the looks of this crashed jeep in a tree, they'll be up to their usual antics of test-driving cool cars and competing in various challenges in locales like Detroit, Scotland, Mongolia and Colombia. 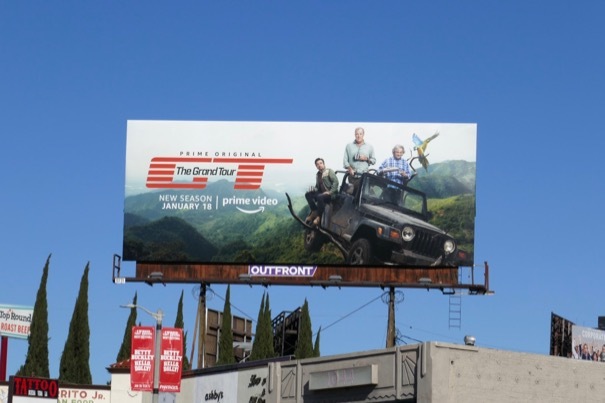 These season three billboards were snapped along Olympic Boulevard and La Brea Avenue from January 9 to January 21, 2019. 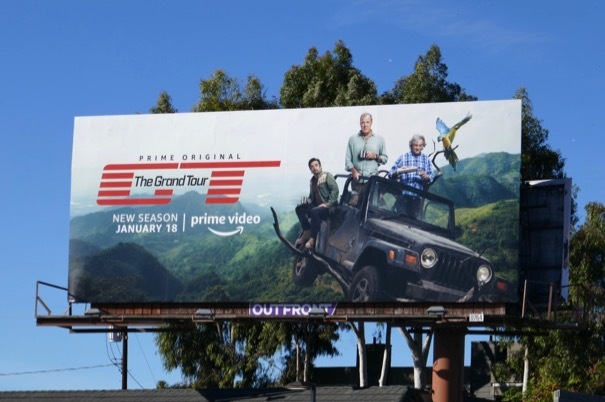 There's always a recurring animal theme in the season key art for the Amazon Prime show, first there was goat for the series debut, then a monkey for the sophomore season and now a macaw parrot. 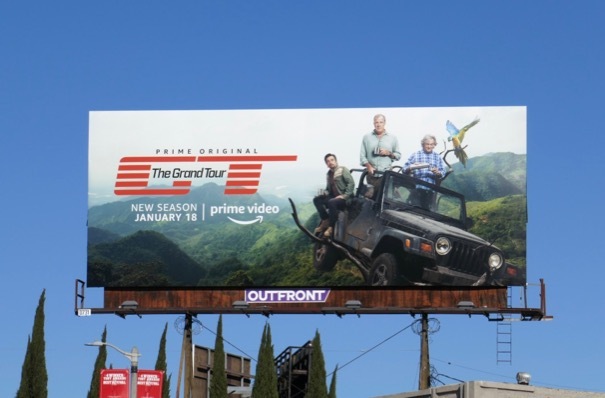 Fans of the show and its presenters can check out all the previous season billboards for The Grand Tour and this Top Gear billboard. 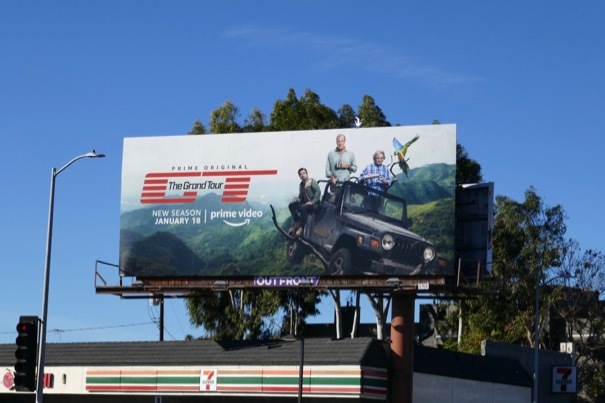 With the hosts sustaining crashes, injuries and illnesses during the production of series, let's see if these three amigos can survive the experience of this third all-new season.